There are many different options available with the dome kits so providing prices can be a little complex. 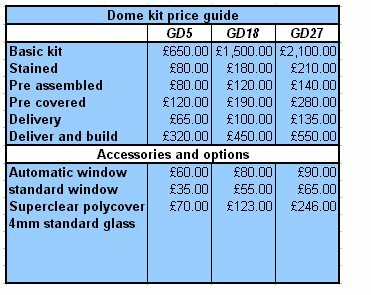 Use the price guide on the left to get an idea of what each kit costs and what accessories are available, we can tailor any kit to suite your needs and prices may vary a little depending on were you live, what type of dome you want, were the dome is sited and many other variables so don’t hesitate to Contact Paul for a chat about your requirements. 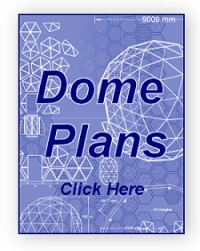 We also have bargain domes from time to time details of which can be found on the Bargain dome page. Includes frame, door and base with all accessories to assemble (screws, hinges, door handle etc) but does not include, cover, staining, pre assembly or any auto windows. Some DIY knowledge is required to build the dome and the instructions should be followed carefully. The frame is made from pressure treated sustainably sourced softwood and can be covered in polythene, glass, Perspex, aluminium and many other materials. Green wood stain is the standard finish; other colours can be applied as required, staining is purely for decorative purposes as the timber is pressure treated to prevent premature rotting of the frame. Staining must also be done before the dome is covered so you may want to select this option if you’re having a pre covered or delivered and built dome. Your dome can be pre assembled into hexagon and pentagon panels to make the kit easier to build on site; this would normally take about a day to do and must be done exactly as per the instructions. Pre assembly can appear quite complicated and if not done correctly can make the kit impossible to build. Domes can be pre covered with polythene film at the factory to save time on site, pre assembly and covering can save about four days work, this means a kit can be put up in one day instead of a week. For customers who find covering the dome frame too laborious and time consuming, we can cover your dome in the factory with the polythene cover of your choice then have it delivered to site ready to be put straight up. Packed on a pallet and delivered direct to you, ready for self-assembly. The dome kits can be packed standard, pre assembled or pre assembled and covered. Please be aware that pre covered domes need to be handled with care as damage to the plastic cover can occur. Includes delivery, pre assembly, pre covering and building the dome on site. If you have limited DIY skills or don’t have time to build the kit yourself, this option means that the dome can be delivered and built usually in a single day. Price includes: standard frame, pre assembly and covering, delivery and building. Staining and windows are not included; prices for these are shown on the accessories pricelist above. 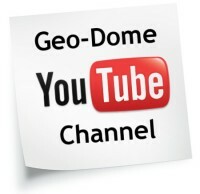 A flat level site should be provided ready to build the dome. Hi Paul I was wondering if you ever used glass to cover the dome and if you had are there any examples that I could visit! 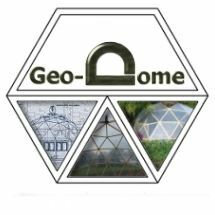 I would love a geo dome ffor my roof garden in Birmingham! Thanks. I would like to purchase plans for the GD27, are they available, how much do they cost in US dollars? Thank You & Happy New Year. bonjour Paul,j aimerai un dome type G27 , puis je recouvrire votre structure avec d autre materiaux pour faire une chambre . j aurai donc besoin d une couverture en dure plus un isolant ? faite vous des livraison en france ? merci !